I'M writing about the perils of having autonomous emergency braking pull you up when there's a kangaroo, for example, ahead of you and a big truck behind you that can't pull up in time. I concur with you - with a B-double in my rear view I'd sooner hit the 'roo than brake or have the brakes applied for me. I disagree when you say swerving to miss a 'roo is the "safer option". This comment flies in the face of all road safety messages put out by police and road safety experts. Your comment to swerve to miss kangaroos is flawed, oversimplifies the solution and will bring disaster for anyone who tries it at speed. 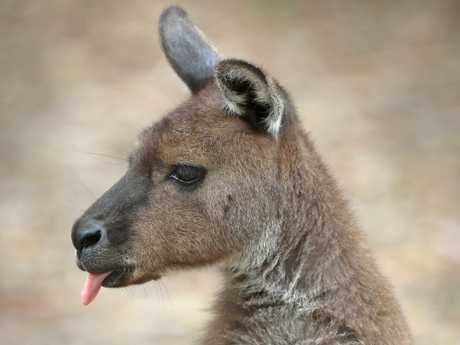 Just check out the black skid marks ending in a ditch or through a fence when people try to miss 'roos. The wildlife in the Western Districts of Victoria is moving about unpredictably due to the intensive local blue gum harvest - so good luck with your city-centric safety gadgets! Pesky roos: They are unpredictable on the move Picture: Alex Coppel. To clarify, my message was to swerve if it's a safer option than hitting the kangaroo. 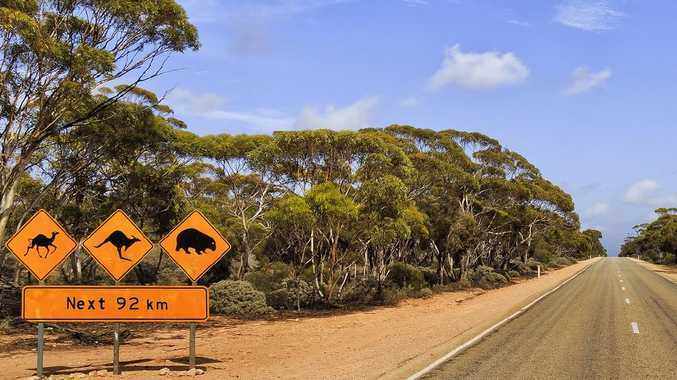 That will depend on your speed, the car you drive (collision assist/avoidance systems and stability control are superb on some modern cars), road conditions and, it's got to be said, your driving ability and the size of the kangaroo. Decisions have to be made in a split-second and each case will be different. Saying you must never swerve, as some safety bodies suggest, is also oversimplifying matters. We all must drive to the conditions - in rural areas with lots of kangaroos, drop your speed and stay alert. 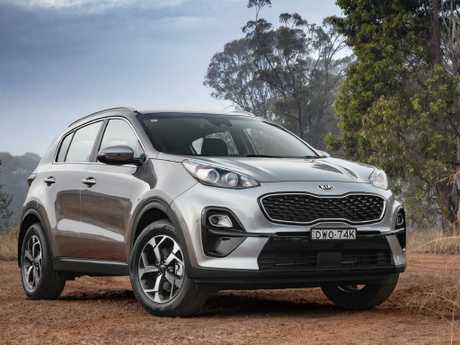 Kia Sportage: Ads can’t show higher spec cars than those on sale. I'm looking at buying a new or nearly new Kia Sportage. On classifieds websites I've been confronted by adverts where there's a picture but a line saying "Not actual vehicle, for display purposes only." Is this legal, as the vehicle may be a different model to what's pictured in the advert? This often happens when car dealerships are expecting a car to arrive at their premises. They get the advert online before they can take images of the car, using generic photos. They're not allowed to use images of higher specification cars. The ACCC says: "You must not make false or misleading claims (about) a particular standard, quality, value, grade composition, style or model." 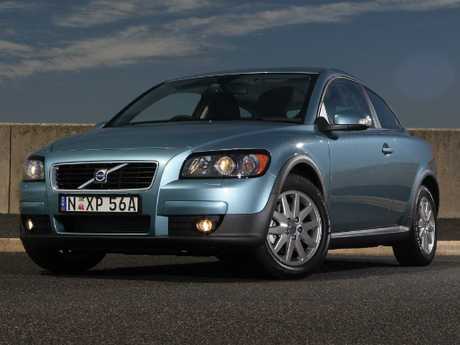 I recently bought a 2007 Volvo C30 T5 with 100,000km. I'm confused as to when the timing belt should be replaced, with different sources - people and online - saying it should be after 10 years/150,000km, or 12 years/ 180,000km. Can you help? Volvo Australia is a more reliable source than online "experts" and its official line is: "Auxiliary belts, timing belt with tensioner and idler pulley are due to be replaced at 180,000km or maximum 10 years." If the timing belt snaps your engine will be toast, so if the previous seller didn't produce a receipt for the work, please get it done without delay. My 2016 BMW X1 xDrive25i has only two roadworthy tyres of the four after just 40,000km of mainly highway driving. I rang a tyre dealership and was told most BMWs do this - they had seen some tyres needing replacement at just 11,000km. The BMW service consultant said 40,000km tyre wear is normal - and also that I'd need to replace the brake pads and discs soon too. My 2012 Mazda CX-5 had no issues with tyres or brakes at 70,000km. First of all, Mazdas have a strong reputation for brake longevity. 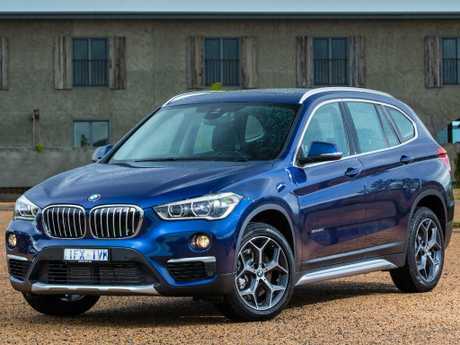 Your BMW X1's brakes definitely should last longer - 40,000km for pads is acceptable but not for discs, especially if you're mainly on the highway and not regularly braking on steep hills. If you're not satisfied, consider consulting a BMW specialist who can recommend aftermarket brake alternatives. Your X1 has run-flat tyres and I've often heard about them wearing out quickly. Again, if you're not happy consider fitting alternative rubber. It should improve the ride, too, but make sure you have a can of tyre goo handy in case you get a flat. My 2016 Subaru Liberty Premium's display unit has wiggly lines running across it, making it very difficult to see, especially in the sun. The local dealer says it happens to all such display units and there's nothing they can do about it. Is this normal for Subarus or should they replace it? It's not normal and the dealer should not have suggested it was. I contacted Subaru Australia about your case and they have exchanged your head unit for a new one - and it's good to learn you're satisfied with the outcome. 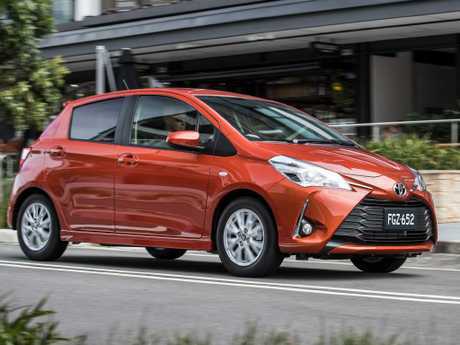 I'm thinking of buying a Toyota Yaris. Should I get the Ascent, ZR or SX? The Ascent's 63kW 1.3-litre engine is a little short on power, so if you prefer some oomph you'll need the SX or ZR's 80kW 1.5-litre. If you value advanced safety and a bit more luxury, the ZR's for you. It is relatively pricey but all variants are on drive-away specials at the moment. If it was my choice and it was a town car only, I couldn't look past the Ascent with manual gearbox for $15,990 drive-away.